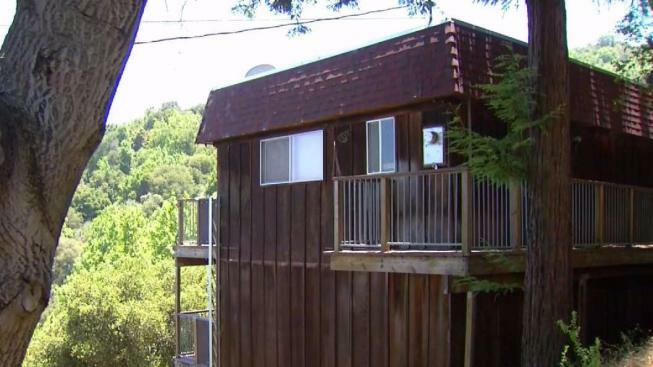 A new controversy surrounds a small two-bedroom house near open space on the Peninsula. The home was purchased by the Open Space District for $1 million in 2005 and spent another $90,000 in taxpayer money to renovate it with the intention of it being available for park rangers. But now the district plans to tear the home down, which is located in an area with limited access. "It's really important for us when we preserve land, that the public has access to it," said Brian Malone with the Regional Open Space District. Malone said the road to the 1,400-acre preserve was half owned by the previous property owner, which has created access issues for the property. "They had some dogs that were running loose that would bark and act aggressively," Malone said. To this day, public access requires several steps, including calling the district on a weekday to get a code to open the gate the following day. All that work just to get access to one of the six newly constructed parking spots outside the home. Taxpayer watchdogs think that is asking a lot and want the property sold, with the proceeds used to buy more accessible space. "This is supposed to be for the public's benefit," said Mark Hinkle with the Silicon Valley Taxpayers Association. "But if you put roadblocks, literally, to gaining access to the property, they're preserving open space where no one gets to use it." Last year, only 39 people called the district for the public access permit. Despite the fact the property will be torn down and the access remains limited, the district believes protecting the access was worth the price.